First of all this new device from Vaporesso has an unparalleled class and sophistication. Because of that, it was named, LUXE. Vaporesso LUXE is a powerful and highly intelligent device, that comes with the SKRR Tank. Because of the elegantly designed kit, and the size of it, LUXE will rest comfortably in your hand. Furthermore the back of the device has a magnetic battery access door. As a result you can easily change the 18650 dual batteries which are not included in the kit. After installing your batteries, you can start using the front-bottom mounted Micro-USB port to keep them charged. You can also upgrade firmware when it becomes available. 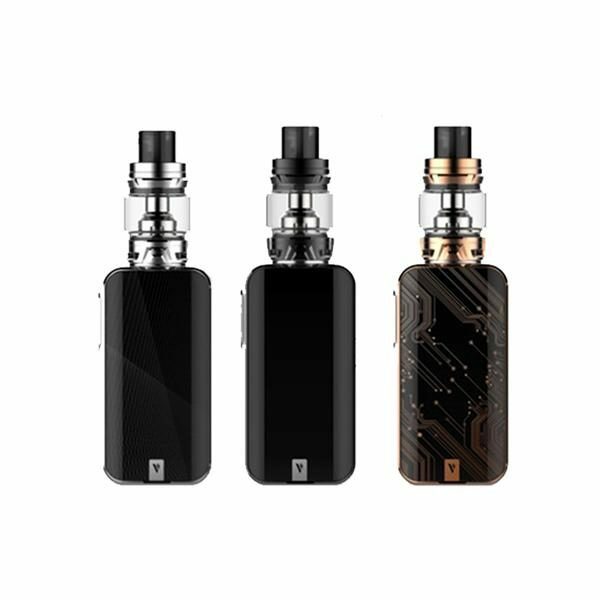 Another factor of the LUXE Mod, is that Vaporesso has installed their latest OMNI Board 4.0 chip set. As a result, it will provide ultra fast 2.5A quick charging for your batteries. And also as an instantaneous firing speed of 0.001s. Furthermore, you can also enjoy an amazing large 2.0″ TFT full color display screen. The screen extends from one edge of the mod all the way to the other. Another factor of the screen is that the bottom half is highly responsive touch sensitive buttons. And the upper portion the OLED screen displays many malformations. Because of the demanding Luxe mod, Vaporesso came with SKRR Sub-Ohm Tank. The SKRR tank has a large capacity of 5ml and it comes with an 8mL extended glass tube. Furthermore it has a leak free top filling method. The tank also has a child proof locking mechanism. Another factor. is that you will find a Quad Flow air distribution system. This system has four trapezoid shaped airflow slots. The slots can be fully open or fully closed. As a result, it will eliminate spit back and cold air intake. Therefore it will minimize leakage, to provide you with a warmer, denser draw. Furthermore there are two type of coils that you can use . The QF strips or the QF mesh coil. Both coils will provide rapid and even heat distribution for rich flavor. They also utilize a combination of Flax Fiber and Organic Cotton Fiberr for e-juice saturation. The Flax Fiber is a much stronger material than standard cotton. Therefore having a much longer absorption rate, which allows your coil to have an even longer lifespan. Finally of the OMNI Board 4.0 chipset, the LUXE Mod is able to detect your coil head and auto adjust your wattage. Vaporesso are passionate about vaping! We build innovative vape devices including mods, tanks, vaping kits & tools. First rate quality products guaranteed. Vaporesso are a dominant force in the vaping industry due to our breakthrough innovative designs. We are manufacturers of vape kits, atomizers, coils and mods & batteries – as well as vaping accessories to help you easily make the transition from cigarettes to vaping. 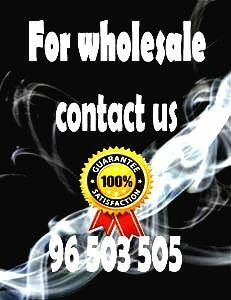 Our goal is to help smokers free themselves from the harmful effects of tobacco smoking along with the unpleasant lingering odour and dirty ash, and also offer exciting top brand devices for both the casual and pro vapor.